Tennsco STS1218721MG Single Tier Medium Gray Steel Locker with Legs - 12" x 18" x 72"
Give your employees or patrons a place to safely and securely store their personal items with the Tennsco STS1218721MG single tier steel locker! 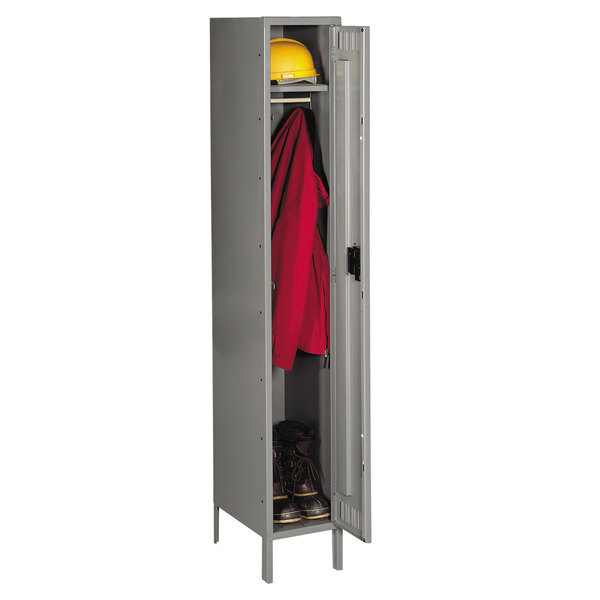 Made of durable, heavy gauge steel, this locker is built tough and will hold up well to wear and tear. Perfect for either a breakroom or locker room, this locker provides plenty of space for storage and includes a number plate for clear and quick identification.